Africa is presently experiencing a dynamic increase in the coworking industry. Within a decade, there are over 250 coworking spaces in Africa. Kenya like many African countries is experiencing a growth in the number of coworking spaces. Entrepreneurs and digital nomads, whose entrepreneurial ethos list collaboration as their key objective, are taking to these spaces as they seek cost effective solutions to running an office. With that in mind, creators are listening and responding to this need by creating coworking hotspots across the country. With so many benefits to sharing spaces Nyambura Gichohi co-founded Ikigai, a coworking space in Nairobi. Ikigai, whose name was inspired by Japanese philosophy which translates to reason for being, encompassing joy, a sense of purpose and meaning and a feeling of well-being, today is open co-working space, with a mix of public and private offices shared by companies and startups. The idea of a coworking space according to Nyambura, started with a dream of opening an incubator in Nairobi’s Kibera area. Kibera, one of the most entrepreneurially vibrant places in the city, is home to thousands of small and micro-businesses. Together with her co-founder, Nyambura discovered artists from Kibera designing beautiful fabric shoes. These traders later sold the shoes abroad making mouthwatering profits. However, she believed with more support, the entrepreneurs would earn much more. Ikigai prides itself on being among few coworking spaces with an expansive garden. Members can opt for the quiet indoors or work under the canopy of Jacaranda trees, or next to the bamboos and agapanthus trees. This is an opportunity Nyambura says is increasingly rare in cities such as Nairobi. Ikigai is modelled on architecting interaction, a concept we learned from renowned architect Stephani Akkaoui, which encourages building a space that is incomplete, impermanent and imperfect. Design, Nyambura says, is important. It can be a driver to productivity and success of companies, enhance interactions, collaborations and ultimately well-being of the individuals and the health of companies. Members at Ikigai, can also chose to work from The Patio adjacent to The Commune or the Coffee Deck overlooking the garden and many small and large nooks and crannies for anything from a skype call to a meeting or a workshop.According to several studies, spending more time outside improves short-term memory, restores mental energy, relieves stress, improves concentration and allows for sharper thinking and creativity. Ikigai offers private offices that attract medium to large enterprises. The private offices are designed for teams of 4 or more. They include individual desks that are linked allowing users to move them around into a formation that works for them. Entrepreneurs and larger organizations have access to meeting rooms that include traditional boardrooms and Think Rooms equipped with writeable walls for brainstorming and ideating. Unlike other coworking spaces, Ikigai does not target specific professionals. The space is composed of a mix of clients ranging from companies working on, ICT startups, linguistics and journalism, technology, food, maternal health, public relations and marketing among others. According to a research done by Coworking Africa, the coworking business is expected to see a boom. This exponential growth is attributed to 70 percent of the total population of Africa which are the millennials and also the many opportunities currently flooding the continent. 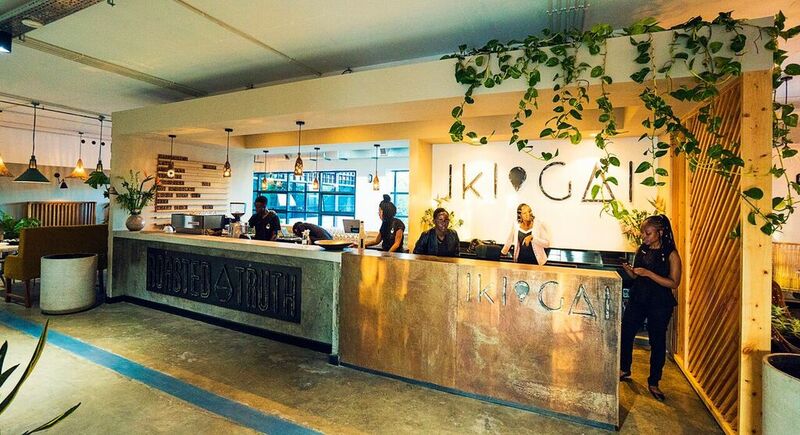 Already, Ikigai has identified is looking to open two new spaces in Nairobi. As co-working principles continue to evolve and influence broader ‘co-learning’ and ‘co-living’ concepts, businesses that integrate these progressive strategies into their own enterprises will be well equipped to meet the needs and expectations of the future workforce.